I’m in the process of compiling the material I have for my next book, (The Empaths Dilemma) and I thought I’d join a couple of Empath and a lightworkers groups, just to get a feel for what is happening, as it’s been years since I’ve been in any group. 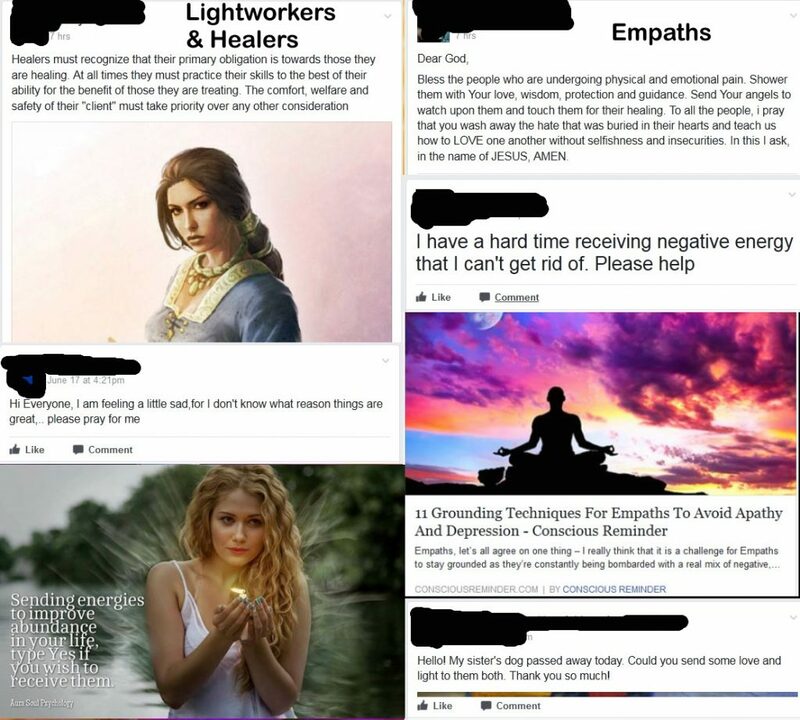 I was “removed” from both Empath groups, but re-instated in one. I made a few posts and commented on others, but I have to say that I felt that only two or three people were at what I would call their “quickeing” stage, where I could feel the lights in their Mind and Heart flicker. The rest are still asleep, although all would disagree. Unfortunately, the ones that were open, happened to be in the group that I was deleted from without even a warning. (1) They still cling to their religious beliefs, and as such, they think they KNOW what love is, oblivious to the role that denial plays. (2) They also cling to what they have been taught, either an alternative healing modality, or recycled “quick fix” solutions. (3) All are afraid to stray from the herd, as they feel safe and supported. So tonight, I silently removed myself from the groups and will focus on gathering the material for my book. This entry was posted in Books - Publishing, Media - Internet, New Age, Personal, Religion, Self-Empowerment, Society - Culture, Soul (Will) - Intuition-feelings-emotions, Spirit - (Mind) Thoughts - ideas and tagged Empaths, groups, Lightworkers, quickening by johnrieger. Bookmark the permalink.